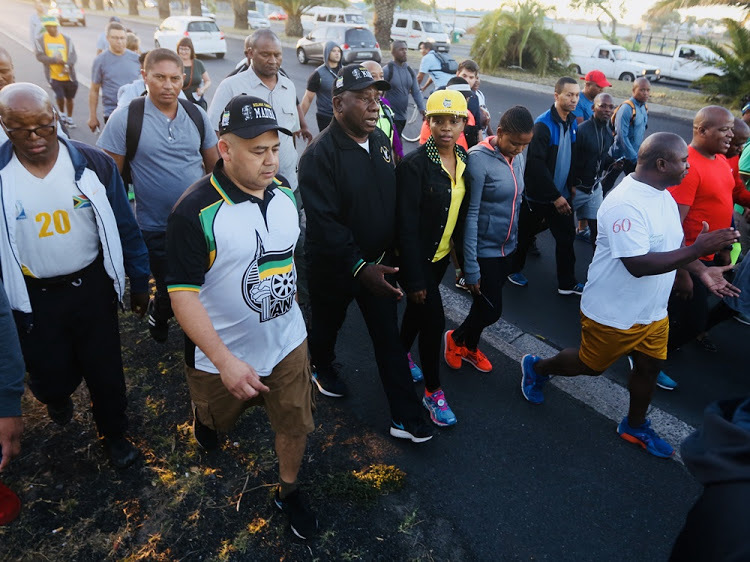 President Cyril Ramaphosa goes for a walk with about 100 people from Gugulethu to Athlone on the Cape Flats. I have heard many South Africans telling me this morning that they want to drop the belly. I walk to reflect on the previous day and think about the day that is ahead‚" he said. At the end of the walk he took questions from those who had joined him and explained: "
so I am going to continue walking.